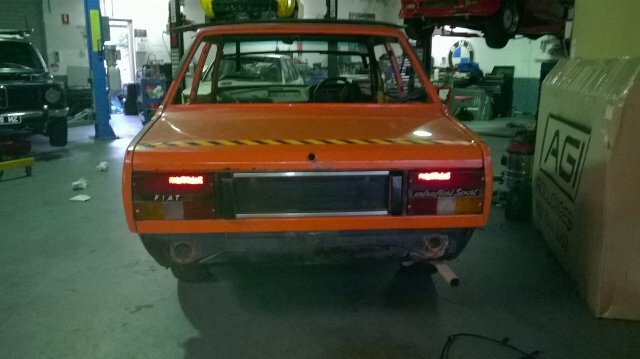 I bought a “Spare” 1982 Fiat 131Racing in a “Package Deal” in early 2016 ,with the idea of making aonther Race car or Replica Stradale Abarth! 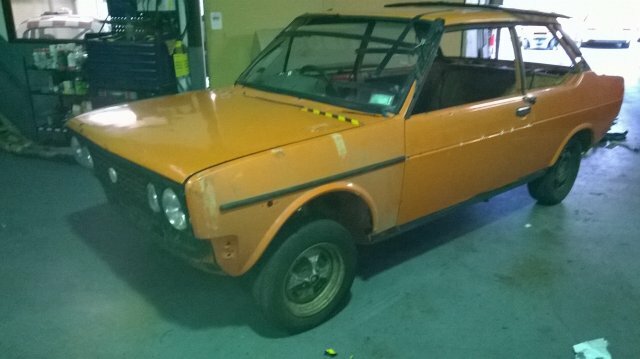 ….Since then have come to realize there are not many original FIAT 131R’s around anymore in good condition or at all!…This complete car (in pieces) has been sold off and bought back by me, Even if we are going to do FIAT Abarth 131 Replica cars, an original FIAT131R is not to be sneezed at!!! 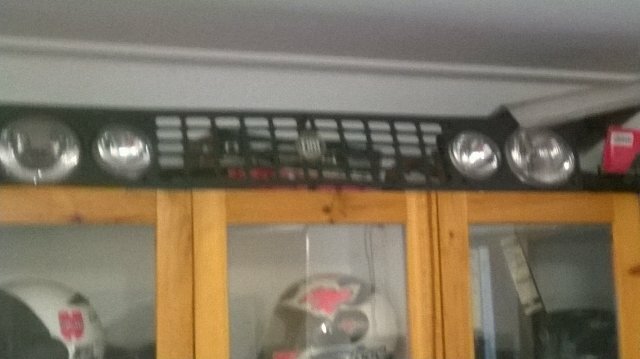 Update 1/2017- We are gathering special parts and have now a New set of grill/headlights/Tail lights and Replica CD66 alloy Rims! 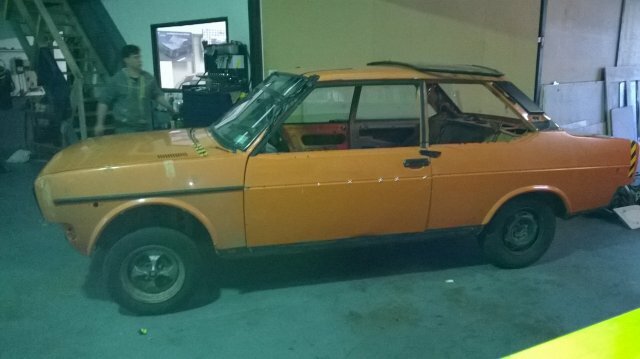 Car will be off to the panel shop soon for all over look for the “Factory” rust that comes with 131′s, then a strip and apply fresh colour to boot, doors and under bonnet areas ,this 131R will be the same as what was on the day it was sold!, slight mods with the 2ltr Twincam 8v, the anti-pollution cams removed and replaced with 26/66 factory sport cams, twin IDF’s and a nice 2.25″ Sports Exhaust system, Koni struts/shockies!! 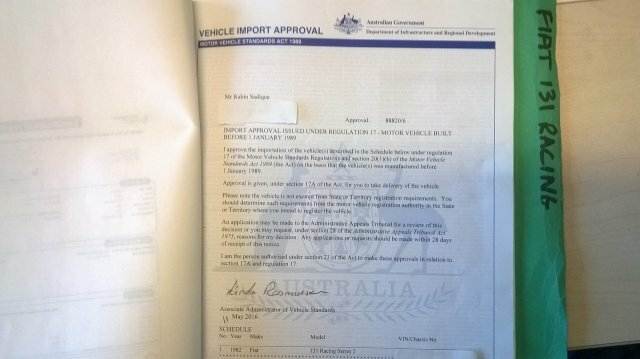 Update Late 7/2017- Planning Stage Starts NOW!! 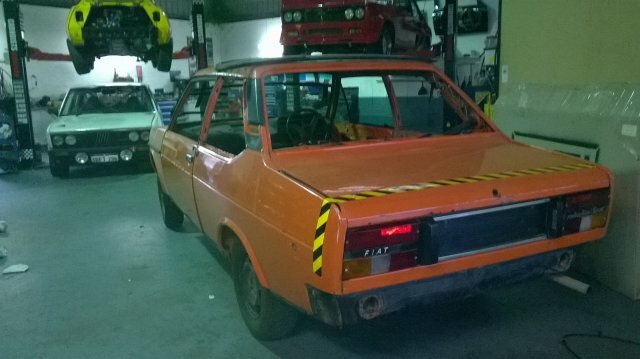 Having now bought enough spare coupe glass and doors to do afew cars , I will love this one back to its factory best, by removing the usual 131 rust from the bottom corners of the front floor and the bit up the lhf foot well, then my friend Vincenzo from Intersmash Malaga will give a fresh coat of the Fiat ”Orange” that it is originally and back to me for mechanicals, nothing over the top just original 8v 2Ltr Twincam with 26/66 cams and factory 40IDF Webber kit on the Fiat”Waffle” manifold and “Turtle” Airbox from a ’72 Fiat 124 (BC) Sport 1600 , not sure about the original hairy fabric on the seats, might go with period “Hounds Tooth” cloth and Black Leatherette sides(will think on that one!) but everything else to factory original, or maybe upgrade to W.Rohal Limited Edition Spec’?? 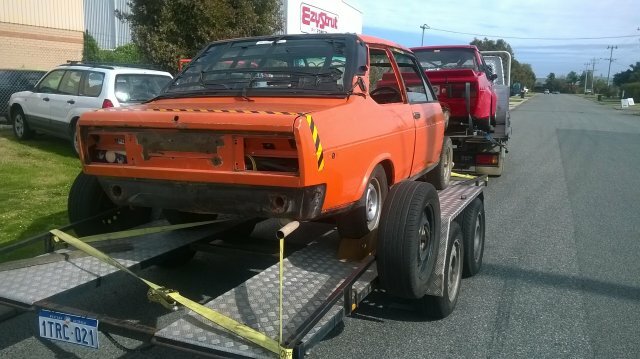 Update 1/2018- Fiat 131 Racing has made its way to our friend 2hrs out of Perth, totally stripped and on a trolley will be made NEW again! !